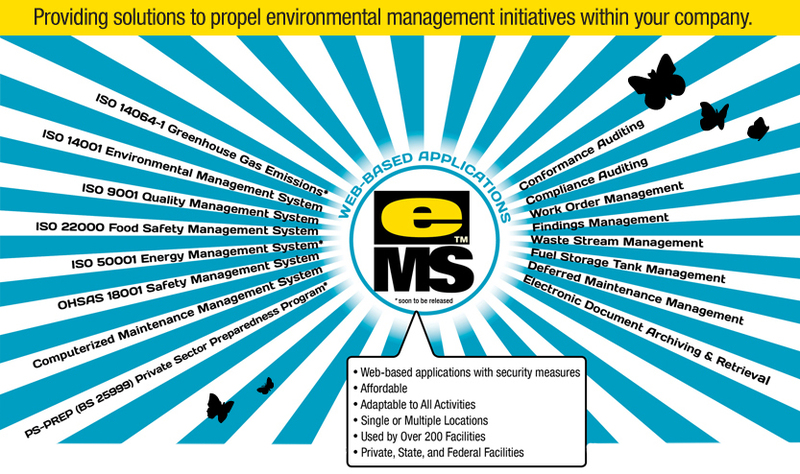 Since 2002, Management and Engineering Services has provided and maintained web-based applications for management system and environmental program support. This suite of applications has expanded both in breadth of capabilities as well as in number. Today these applications are often grouped for organizations implementing multiple management systems, and integrated with compliance support solutions. Management and Engineering Services maintains an environmental management system based on the international standard ISO 14001. We are a carbon-neutral company, we use no hazardous materials, and we have a strong environmental program in place that meets and exceeds most applicable Presidential Executive Orders. We offer services based on our own experiences, offer solutions that have been tested within our own operations or those of our past clients, and we can offer cutting-edge technology solutions. We take the extra steps to ensure the integrity of our software and information and our clients’ data.